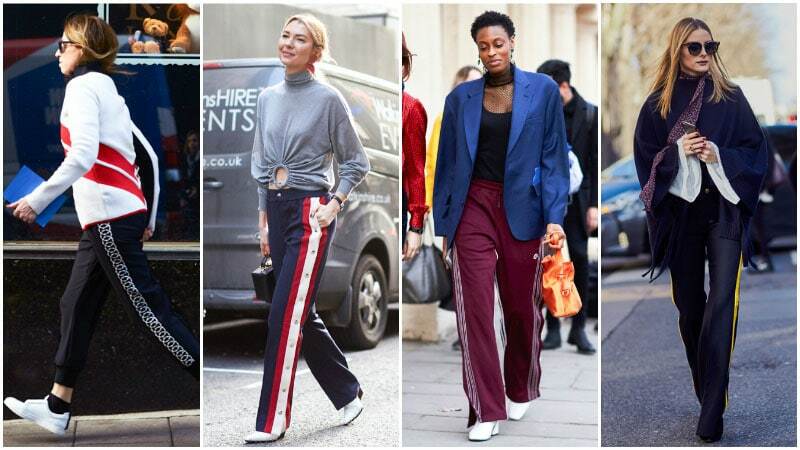 The casual and chic sneakers that were everywhere last season have now been replaced by something decidedly more elegant. 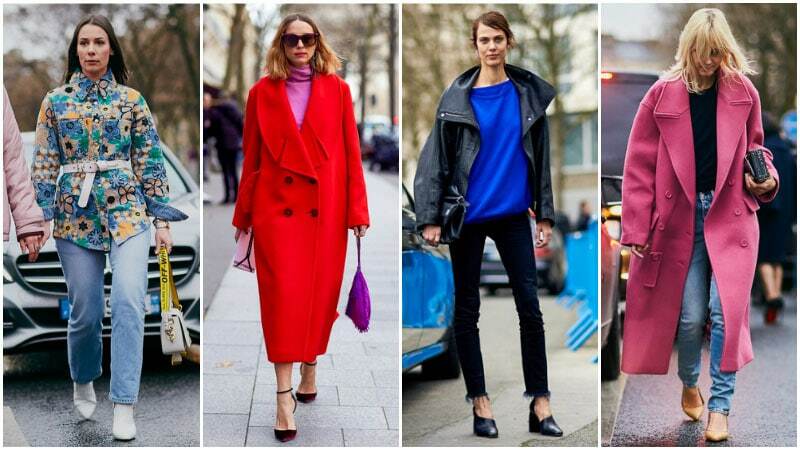 The kitten heel is back and once again bringing its unique brand of refined style to the streets. Both classy and comfortable these vintage shoes are perfect for every occasion. They can be paired with cigarette pants for the office, a dress for dinner, a pleated midi skirt for lunch or even jeans on the weekend. No matter what you pick, this fashionable style of footwear is sure to take your outfit up a notch. Just be sure to select a pointed-toe version to ensure maximum maturity. You may have seen fishnet stockings popping up here and there this year, but now it’s really time to take notice. The classic hosiery style was everywhere during the Autumn/Winter 2017 fashion weeks and is a must-have look for the season. Whether they were partnered with a dress, skirt or even worn under pants with pumps, fishnets stockings provided a seductive edge to outfits. Stockings weren’t the only garments to embrace fishnet this season. Ladies also rocked fishnet tops and socks. When wearing the trend yourself, choose either a tightly knitted style for a chic and elegant look or big, graphic gaps for a more eye-catching effect. 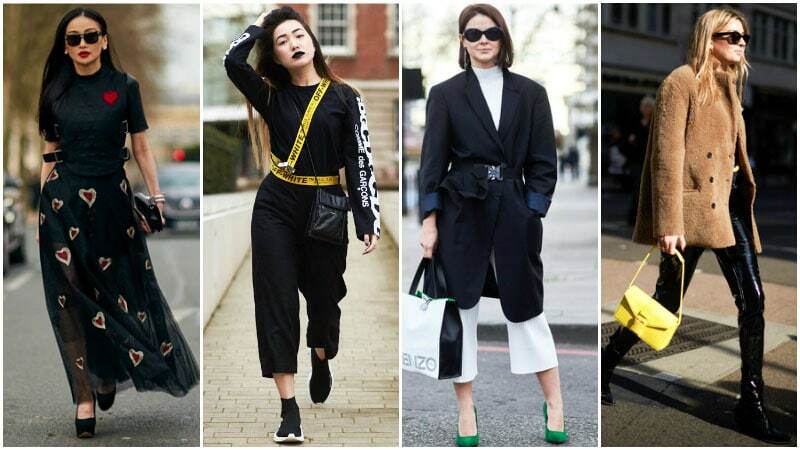 Athleisure and sports luxe styles continue to dominate the streets and will certainly have a place in your autumn/winter wardrobe. So, what’s the new must-have athleisure staple? Racing stripes. This season, you can expect sports-inspired stripes to be everywhere. Not only will they appear on typically athletic garments, such as jumpers and sweat pants, but they’ll also feature in more unexpected places. Whether it’s a pair of cropped work pants or even a dress, racing stripes will be there this season. To make the most of the trend, choose eye-catching designs that feature boldly coloured lines on a contrasting base. 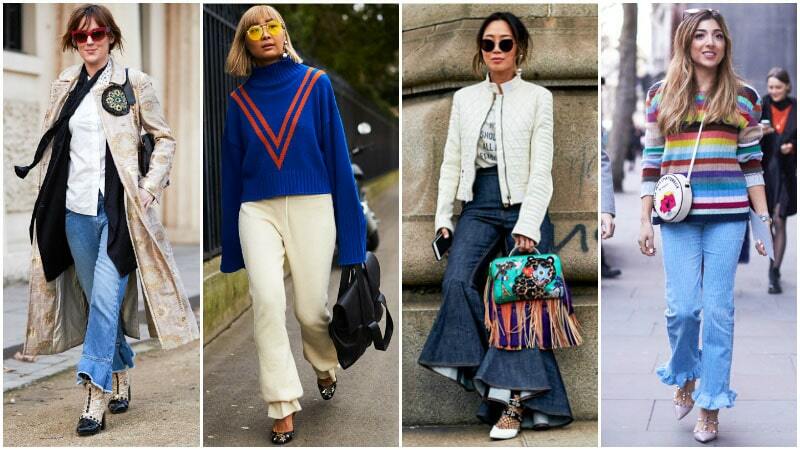 Every show season the street style stars debut the most covetable new bag styles for us to add to our wish lists. For A/W ’17, that new “it” bag is undoubtedly the ring bearer bag. Featuring a hard, usually metal, ring in place of a handle, these stylish designs reinvent what a bag typically looks like. The circular shape and unexpected hardware add an element of surprise and modernism to even the most understated of styles. While your classic black leather shoulder bag isn’t in any danger of being replaced, consider adding this bag to your collection as a statement style for weekends and nights out. 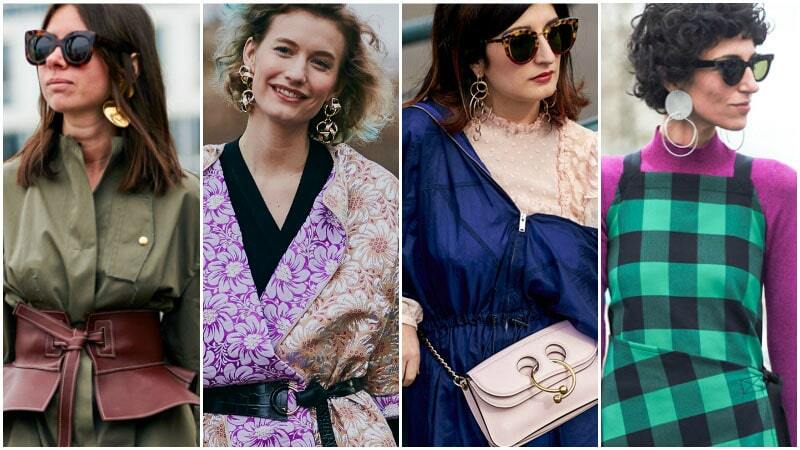 When it comes to fashion trends “safe” isn’t a word you hear a lot. After all, safe is boring, right? Well, not anymore. This autumn/winter show season, street style stars were putting safety first and buckling up. On the streets of London and Paris, safety straps and seat belt style buckles became the new fashionable way to fasten. 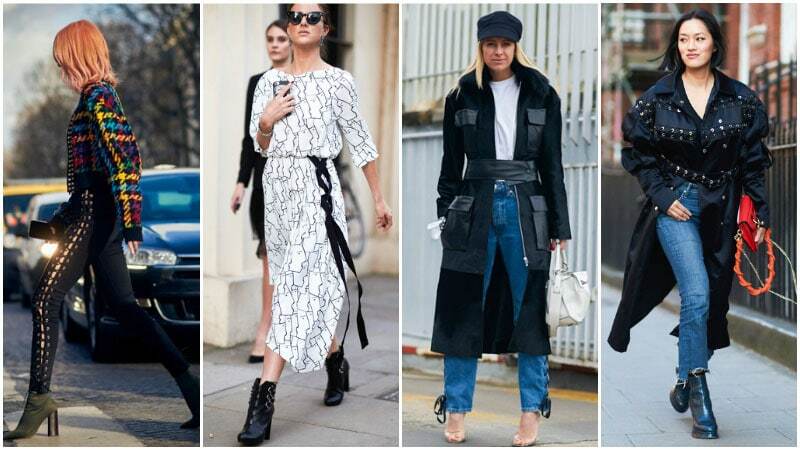 The chunky and utilitarian style details were spotted on garments, such as coats, tops, and dresses, as well as accessories like belts and bags. Whether they were practical and adjustable or simply there for decoration, these straps and buckles provided outfits with an edge fit for a thrill-seeker. Now that you know what shoes and bag you’ll soon be rocking, it’s time to turn your attention to the jewellery you’ll be wearing. This season, jewellery trends build on a growing affection for statement earrings and convert the accessory into a piece of art. Abandoning bold, jewelled designs for more sculptural styles, this season’s must-have styles feature unique shapes and forms. While circles and hoops are naturally present, they’re layered, linked and reworked to create new shapes and styles. More undefined shapes are also utilised to leave the wearer with an individualistic and incredibly artistic accessory. Classic and completely nostalgic, vintage check blazers and overcoats took over the streets at the recent A/W ’17 fashion weeks. 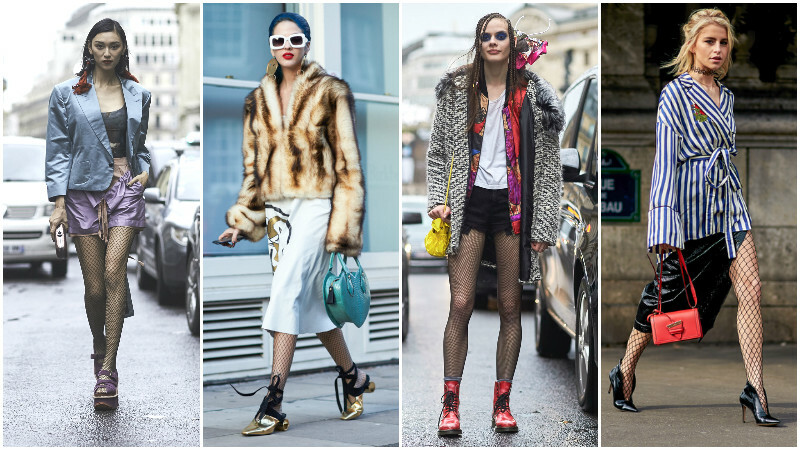 Women from Paris to London rocked the retro style with confidence and charisma. While some versions looked borrowed from the boys, others were inherently more feminine. Either way, both offered an old-world charm. 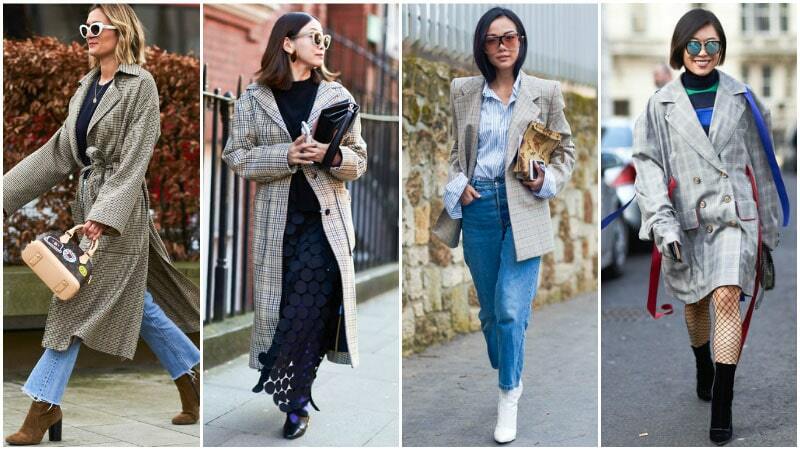 To rock this trend for yourself, choose a beige, light brown or cream, blazer or a coat with tartan print. Add shoulder pads and double-breasted buttons for a traditionally vintage feel or opt for coats without shoulder pads with oversized pockets for a more modern take.